Liomba-Junior Mathe is a trained field biologist and involved in the research, management and coordination of mobile bomas and the Long Shields Lion Guardian programme for Hwange Lion Research. Liomba was born in Hwange on 11 December 1989. He completed high school at Fatima High School in 2008 before enrolling for a University degree. He received his BSc. Honours in Biological Sciences degree at Midlands State University in 2013. Shortly after he joined WildCRU’s Hwange Lion Research. 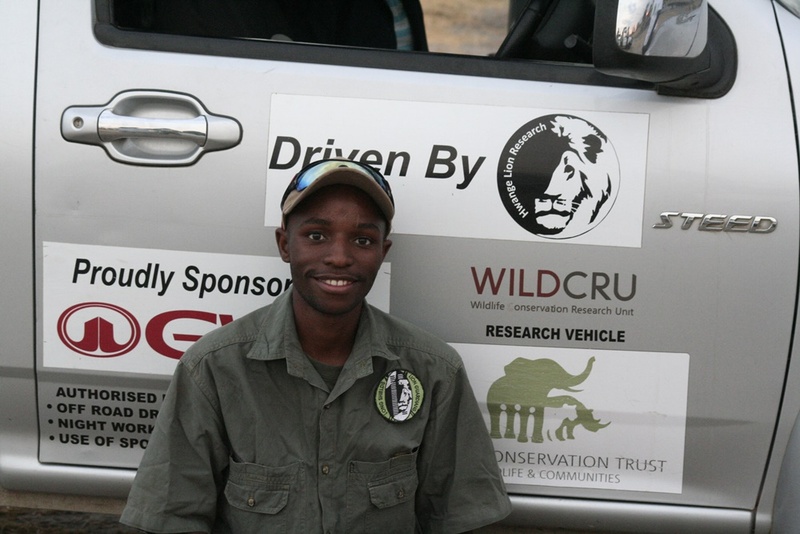 In 2016, Liomba had the opportunity to study for the world class Post Graduate course in International Wildlife and Conservation Practice studies with Oxford University’s WildCRU and was awarded a distinction pass. He is also a member of the African Lion Working Group and has represented the Kavango Trans Frontier Conservation Area (KAZA TFCA) as an Ambassador. To date, he continues to enjoy the field work with one of Africa’s esteemed lion projects.